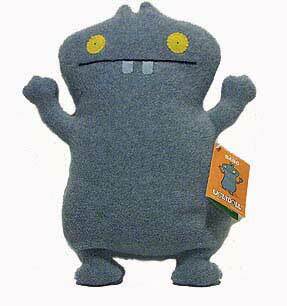 Description Of Item: Babo's got your back. Having a bad day? Babo will fix that. Scared of the dark? No problem -- so is Babo! What Babo lacks in mind power, he makes up for in love. He's everybody's best friend. He will stick with you to the end, and when something scary happens, he will send you a nice greeting card from wherever he runs away to.